Aleksandra's Note: This week, the hearing for the "Rehabilitation of General Mihailovich" will be held in Belgrade. 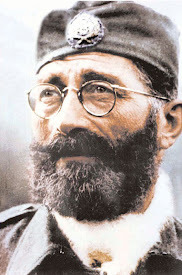 Naturally, the communists, who are still, unfortunately, active in Serbia, will be doing whatever they can to make sure that Mihailovich, once again, does not get justice in a court of law in Belgrade. 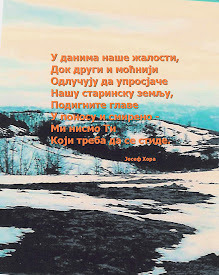 Perhaps this time, though, the patriots - the true Serbs - will win. 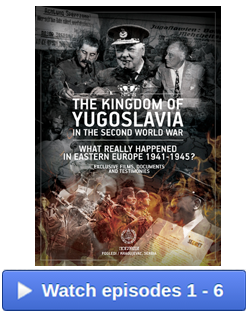 Every time the "apologists" for the Yugoslav Partisans and the Titoists and their descendants play the "collaboration" card against Mihailovich and his Chetnik forces, I'm always amazed at their hubris. 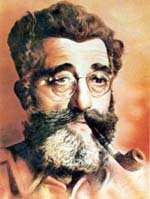 Walter Roberts, among others, wrote about the meetings that took place between the Partisans and German forces in Yugoslavia. 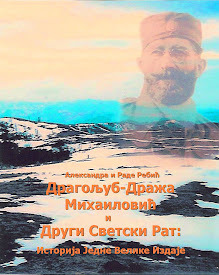 Following are excerpts from his book, Tito, Mihailovich and the Allies. . . . . As far as the Germans were concerned, the German High Command, regarding the Partisans as rebels and not as combatants, rejected prisoner exchanges, but local German commanders sometimes departed from the rule and occasional prisoner exchanges took place. . . . Within the framework of negotiating further prisoner exchanges, a meeting was arranged while the Fourth Offensive was still in progress between the commanding general of the German 717th Infantry Division, Lieutenant General Benignus Dippold, and three high-ranking representatives of the Yugoslav Army of National Liberation: Milos Markovic, Vladimir Petrovic and Koca Popovic. Only Popovic, an army commander, used his real name. 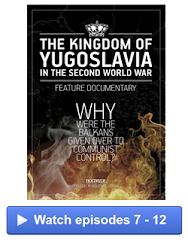 Markovic was in reality Milovan Djilas, a member of the Politburo of the Central Committee of the CPY, and Petrovic was an alias for Vladimir Velebit, in whose house in Zagreb the radio transmitter was hidden through which the CPY and the Comintern had exchanged messages in 1941. A German memorandum (n53) states that the German-Partisan conversation took place in Gornji Vakuf (west of Sarajevo) on March 11, 1943, from 9:30 to 11 A.M. . . . During the March discussions, the Partisan delegation stressed that the Partisans saw no reason for fighting the German Army - they added that they fought against German troops only in self-defense - but wished solely to fight the Chetniks; that they were oriented toward the propaganda of the Soviet Union only because they rejected any connection with the British; that they would fight the British should the latter land in Yugoslavia; that they did not intend to capitulate, but inasmuch as they wanted to concentrate on fighting the Chetniks, they wished to suggest respective territories of interest. The content of this German memorandum of conversation is confirmed by a document which the Partisan delegation left behind and which bears the signatures of the three Partisan emissaries. 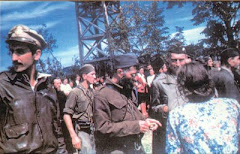 In it Djilas, Velebit and Popovic proposed not only further prisoner exchanges and German recognition of the right of the Partisans as combatants but, what was more important, the cessation of hostilities between German forces and the Partisans. The three delegates confirmed in writing that the Partisans "regard the Chetniks as their main enemy." 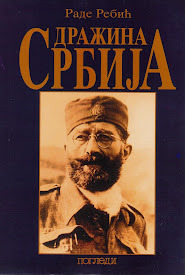 . . . . A few days later, on March 17, the German Minister in Zagreb, Kasche, sent a telegram to Berlin in which, clearly referring to the German-Partisan talks, he reported the possibility "that Tito and supporters will cease to fight against Germany, Italy and Croatia and retire to the Sandzak in order to settle matters with Mihailovic's Chetniks." 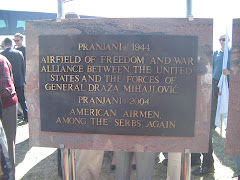 Meanwhile in the wake of the discussions between the three high Partisan representatives and Lieutenant General Dippold, further talks were arranged at Zagreb. . . . Velebit and Djilas passed again through the German lines and were brought by a German military plane from Sarajevo to Zagreb on March 25, 1943. There they had talks with Glaise von Horstenau and his staff. Not having received a reply from Ribbentrop to his message of March 17, Kasche sent another telegram to his Foreign Minister on March 26, 1943, in which he reported that two duly authorized representatives of Tito had arrived in Zagreb for the purpose of discussions with German, Italian and Croatian military representatives. 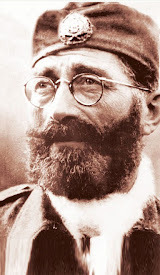 One of them, Kasche said, was Dr. Petrovic, a Croat, and the other a Montenegrin by the name of Markovic These people, he added, again offered to stop fighting if they could be left in peace in the Sandzak. . . .
On March 29, Ribbentrop sent Kasche a telegram in which he prohibited all contact with the Partisans and asked on what Kasche based his optimism. . . .
. . . . 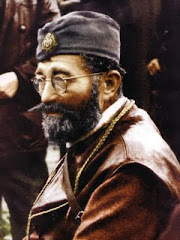 The fact remains, however, that the Partisans, who labeled Mihailovic and the Chetniks traitors for their accommodation with the enemy, sent two high-ranking officers to the German general in Zagreb with the purpose of arranging a cease-fire, after having declared in writing that their main enemies were the Chetniks and not the occupying Axis forces. 53. NOKW 1088, Record Group 238, World War II War Crimes. 55. Paul Leverkuehn, German Military Intelligence, p.151. 56. Walter Hagen, Die Geheime Front, p.268.